For a cup of chocolate heaven, you just whisk the chocolate powder up with hot milk or a dairy free alternative, bringing pure pleasure to be enjoyed anytime. Suitable for vegans. 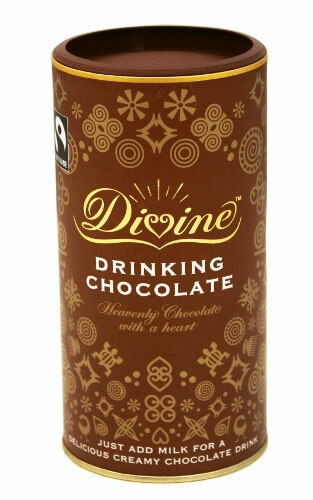 Divine drinking chocolate is made with the best quality Fairtrade cocoa beans, from Kuapa Kokoo, a cooperative of small-scale cocoa farmers in Ghana. The beans are grown in the shade of the rainforest, carefully fermented and then dried in the tropical sun. By enjoying a delicious cup of Divine drinking chocolate, you ensure that in return for their hard work these growers get a guaranteed fair price for their beans and the security of a long term trading relationship. As the farmers also own shares in The Day Chocolate Company, the makers of Divine Drinking Chocolate, it is a better deal for everyone. Note: May contain traces of milk, nuts and gluten. May contain: milk, egg, wheat, gluten, celery, mustard, sulphur dioxide. The Divine Drinking Chocolate - 400g product ethics are indicated below. To learn more about these product ethics and to see related products, follow the links below. Ooh this is so lush. My fav drink in the eve with hot mylk. So delicious and creamy! A little goes a long way too, so it's very well-priced. Would highly recommend. My daughter likes this brand of hot chocolate best, I think because it's pretty sweet. We have given up Cadbury's products because they're not as good as they used to be. 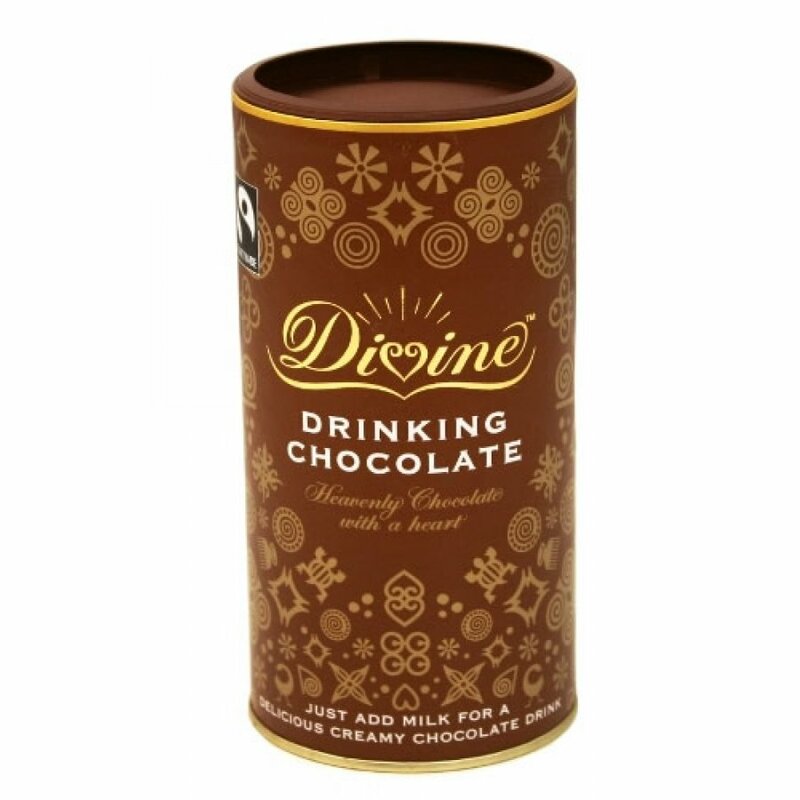 There are currently no questions to display about Divine Drinking Chocolate - 400g.